Kamie Ethridge was officially introduced as WSU's new basketball coach on Tuesday afternoon. She comes to Pullman from Northern Colorado. PULLMAN – Washington State’s new women’s basketball coach was en route to Pullman, eager to pursue a new opportunity with the Cougars, but still wrestling with the emotions that came with leaving her old job at University of Northern Colorado, a place that gave the 53-year-old her first head coaching gig four years ago. Kamie Ethridge wasn’t second-guessing the career move, necessarily, but it also wasn’t a bad time for a pick-me-up. Borislava Hristova, WSU’s leading scorer at 17.8 ppg last season, spearheaded the effort. Inside the Cougar Football Complex, Ethridge was introduced before a standing-room-only crowd of WSU administrators, coaches, athletic boosters, media members and Ethridge’s mother, who flew in from Texas to attend. Near the front of the room were the seven players left on WSU’s roster after a tumultuous 2017-18 campaign. Eleventh-year coach June Daugherty was fired in March after leading the Cougars to an underwhelming 10-20 record, which included a 3-14 mark in the Pac-12 and opening-round loss in the conference tournament. Quite a stretch from the lofty preseason expectations placed on the Cougars. Some thought WSU had enough talent and experience to break a 26-year NCAA Tournament drought. Three seniors graduated and WSU lost another trio of rotational players – Nike McClure, Louise Brown and Kayla Washington – who elected to transfer after a reported dust-up with the school’s new athletic director, Pat Chun. Seven players survived the turmoil and committed to Ethridge’s rebuild: Johanna Muzet, Chanelle Molina, Maria Kostourkova, Alexys Swedlund, Jovana Subasic, Celena Molina and Hristova. Cherilyn Molina, the younger sister of Chanelle and Celena, will join the Cougars this fall, leaving Ethridge with five scholarships to fill. Her coaching and playing credentials should be a major asset on the recruiting trail. At one time, Ethridge was an All-American point guard at the University of Texas who helped the Longhorns capture the 1986 national championship. She helped the USA women win a gold medal at the 1988 Seoul Olympics and padded her international resume with golds at the FIBA World Championship (1986), the World University Games (1985) and the Pan American Games (1987). Ethridge’s four UNC teams combined to go 83-44 and her 2017-18 Bears beat nearby Idaho for the 2018 Big Sky Conference title. 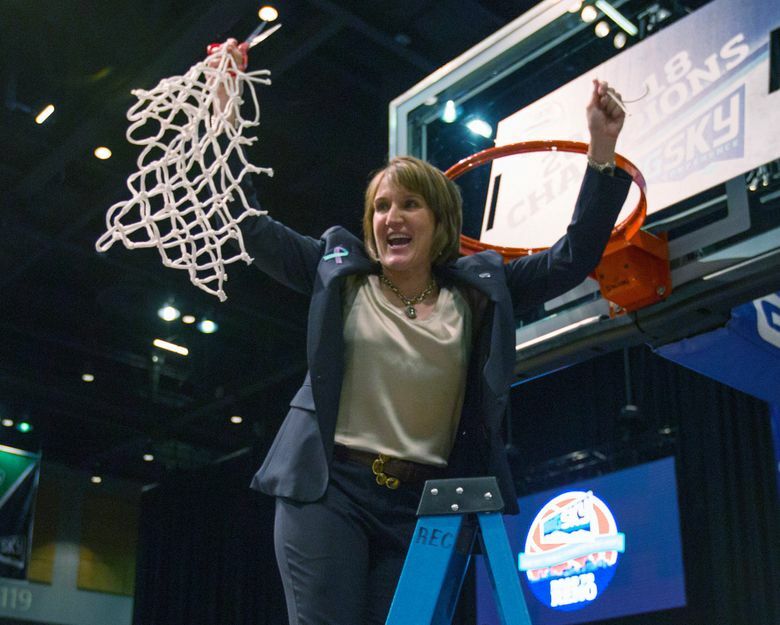 Ethridge said she plans to recruit internationally – something that was also a staple of the Daugherty era – and inherits a roster of players that shouldn’t have much trouble adapting to the system she plans on installing at WSU. Four of Ethridge’s eight players hail from Europe, where many of those same ideals are taught on the basketball court. Three others, the Molina siblings, came from a high school program in Kailua Kona, Hawaii, that emphasized stretching the floor.